The World Heritage Committee has placed six sites in Syria on the UNESCO’s List of World Heritage in Danger in an effort to draw attention to the destructive effects of ongoing civil war on famed landmarks and ancient sites. Currently holding its 37th session in Phnom Penh and Siem Reap-Angkor, the committee revealed in a press release on Thursday, June 20 that the sites to be added included: the Ancient City of Damascus, Site of Palmyra, the Ancient City of Basra, the Ancient City of Allepo, Crac des Chevaliers and Qal’at Salah El-Din, and the Ancient Villages of Northern Syria. UNESCO reported that this was done in an effort “to mobilize all possible support for the safeguarding of these properties, which are recognized by the international community as being of outstanding universal value for humanity as a whole.” UNESCO Director-General Irina Bokova has called on both sides of the Syrian conflict to take all precautions to prevent destruction of the country’s cultural heritage in the violence that began over two years ago. 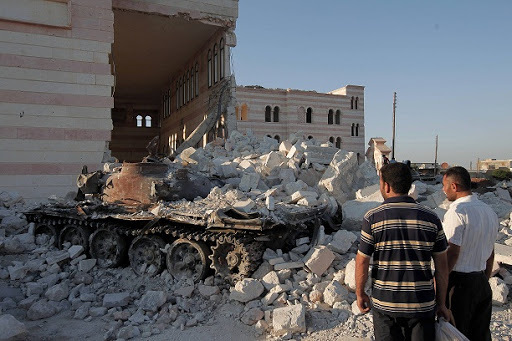 For more than two years, the country’s cultural heritage has been caught in the crossfire of the escalating conflict between Syrian rebels and troops loyal to President Bashar al-Assad. The United Nations reported that more than 93,000 people have been killed since the civil war began. Adding to the tragedy, the fighting is rapidly destroying Syria’s ancient cultural sites and treasures, widely considered to be among the best-preserved in the Middle East. 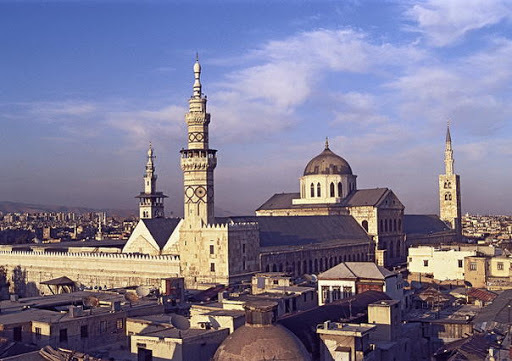 In April, there were reports that the Great Mosque in Aleppo was reduced to rubble. In October, Aleppo’s Souk–widely considered to be the world’s most extensive covered market and popular tourist destination–was heavily damage by fire during a skirmish between the Syrian army and opposition forces seeking to oust President Assad (reported here). As renewed fighting between Syrian rebels and al-Assad’s forces was reported yesterday, the wartorn region is unlikely to soon see relief.